Hey Style Lovers, happy Wednesday! This Wednesday I partnered with the Isaac Mizrahi brand which is exclusive to Lord & Taylor, and Hudson’s Bay in Canada to create the perfect summer look. 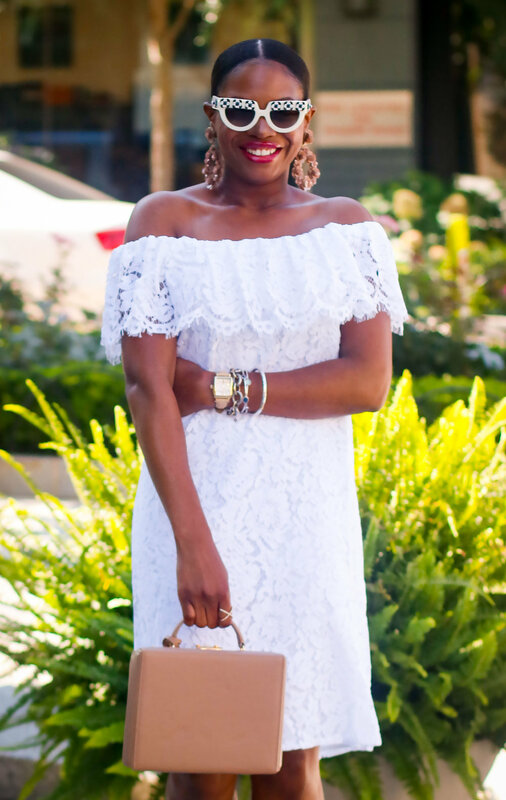 Today’s post features this ultra feminine off the shoulder dress. Because you guys know me so well, you know I love lace, hence it was love at first sight when I set eyes on this delicate scalloped edge floral dress. Like many of you, I have been following the genius fashion designer that is Isaac Mizrahi for years, and I’am still impressed at his ability to create beautiful pieces. This new affordable collection is amazing, so make sure you check out all the fabulous and affordable styles offered in the collection (HERE).